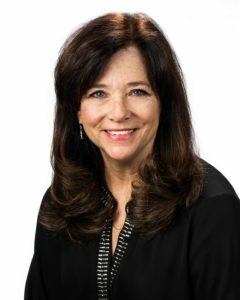 Sandi Bisgood has been a full-time licensed REALTOR® since 1998, Associate Broker since 2014, and is consistently a top listing and selling agent in The Peninsula on the Indian River Bay, with sales of well over 100 homes within the community. It was love at first sight when she first saw The Peninsula as a brand-new resort community in 2004, and she worked there exclusively for the next six years. Although she occasionally works “outside the gates,” The Peninsula remains her focal point, and her specialty is in helping buyers find the right home, and sellers find the right buyer there. She maintains an office on-site in The Peninsula’s Discovery Center building, so is readily available. A native of Bethesda MD, Sandi spent many weekends and summers at the Delaware beaches before making it her home in 1997, following a successful career as a training & development professional in the Washington DC area. In her spare time, Sandi has served on local, statewide and national committees and boards including the Sussex County, Delaware, and National Association of Realtors®. She is a past President and state Governor of the Sussex County Women’s Council of Realtors®, and 2019 President-Elect of the Sussex County Association of Realtors®. Sandi is also an award-winning photographer, a repeat recipient of the Five Star Agent award in Delaware Today magazine, and – last but certainly not least – the proud mother of a grown daughter.